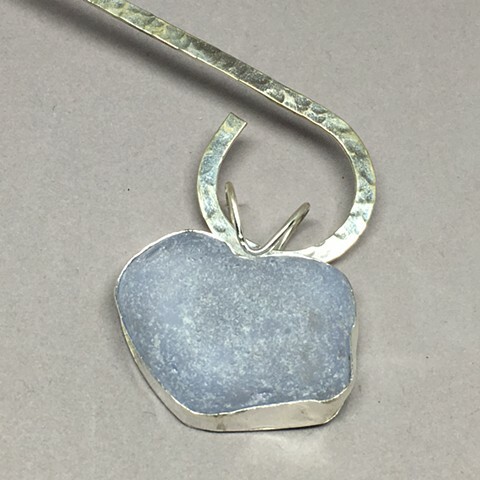 This rare piece of seaglass is a piece of Neodymium glass. It appears blue in the photo but in a different light it is lavender. This is a very nice chunk set in handcrafted fine silver bezel on a sterling collar.